Epipactis gigantea. Image by: Max Licher. Courtesy of: ASU Vascular Plant Herbarium. Calypso bulbosa. Image by: Elroy Limmer. 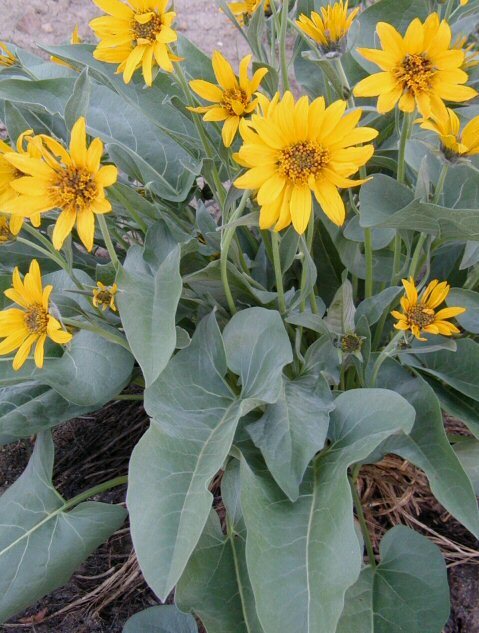 Balsamorhiza sagittata. Image by: Barry Breckling. Courtesy of: 2009 Barry Breckling. Echinocereus coccineus. Image by: Max Licher. Courtesy of: ASU Vascular Plant Herbarium. Penstemon palmeri. Image by: Max Licher. Courtesy of: ASU Vascular Plant Herbarium. Calochortus flexuosus. Image by: Frankie Coburn. Aquilegia coerulea. Image by: Gerald and Buff Corsi. Courtesy of: 2010 California Academy of Sciences. The Consortium of Southern Rocky Mountain Herbaria consists of collections from the Middle and Southern Rocky Mountain States including Colorado, Idaho, Montana and Wyoming. The rugged and expansive terrain of the Southern Rocky Mountains (SoRo) supports plant species of different geographic origins, evolutionary histories, and ecological affinities. 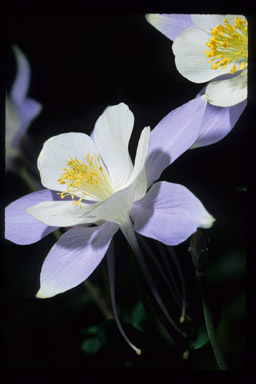 Species from the high peaks and adjacent high plains grow in varied habitats and represent neither the most biodiverse nor most endemic flora in the United States, but rather one of the most narrowly adapted floras, typical of steep environmental gradients and life in extreme environments. While the primary mission of the portal is to bring together collections from within the Southern Rocky Mountain Region, we are also working to facilitate contributions of data from the Southern Rockies by collections from outside of the region. Digitization within the Consortium of Southern Rocky Mountain Herbaria, is currently funded by an ADBC TCN project with the goal of bringing together roughly 1.7 million specimens from the greater Southern Rocky Mountain region. Data come from a combination of existing and newly digitized collections. The SoRo TCN is a collaborative effort across the Consortium of Southern Rocky Mountain Herbaria, the New England Vascular Plant Network (BRU, HUH, YU), the Northern Great Plains Herbaria (BHSC, CSCN), the Arizona-New Mexico Network (ASC, ASU, NAVA, SJNM, UNM) and the Mid-Atlantic Network (NY).